Earlier this month I was contacted by the lovely team at Zalando, who offered me the chance to be a part of their Fashion Meets Music campaign, and of course I said yes! 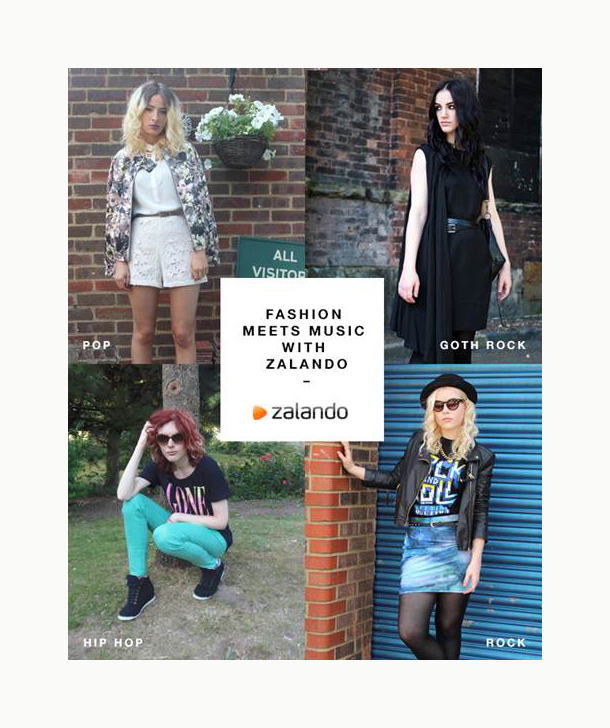 Zalando are currently celebrating festival season on their site, and we were tasked with coming up with looks featuring their clothes to represent different music genres. I chose rock, and picked out some amazing pieces from their online store, so I thought I’d share the campaign with you! The first piece I picked was this £11.90 Rock and Roll T-shirt from Your Turn at Zalando (available here). Next I went for a galaxy print skirt to clash up the look, this Even & Odd at Zalando skirt is a steal at £16 and you can get it here. To up the rock vibe I went for some dark shades, and these Zalando Collection sunnies are perfect for this time of year, and at £17 they’re not going to break the bank (pick them up here). Finally for footwear I chose these gorgeous Even & Odd at Zalando boots which are great for all seasons, at £34 these are really well-priced too and go with everything, you can pick them up here.